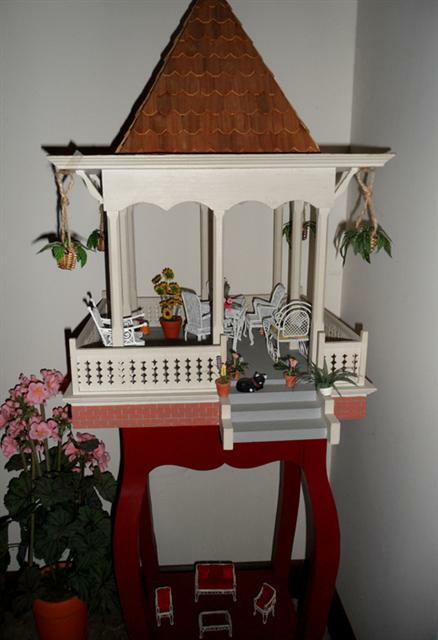 I have collected or made an unusual grouping of gazebos over the years. 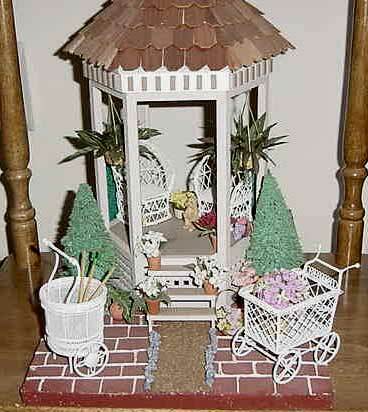 I built this gazebo from a kit and made most of the flowers. 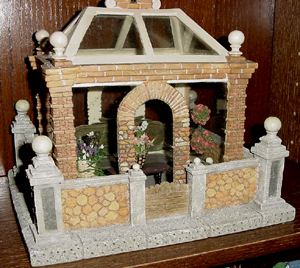 The English Garden was created in a structure that my husband found at Big Lots. Many of the plants were made were quilled paper. Quilling is an easy crafting technique, which creates lovely flowers. I bought this at an antique shop. The owner said it was part of a railroad display. It must have been a huge train set! The furnishing are wire wicker. 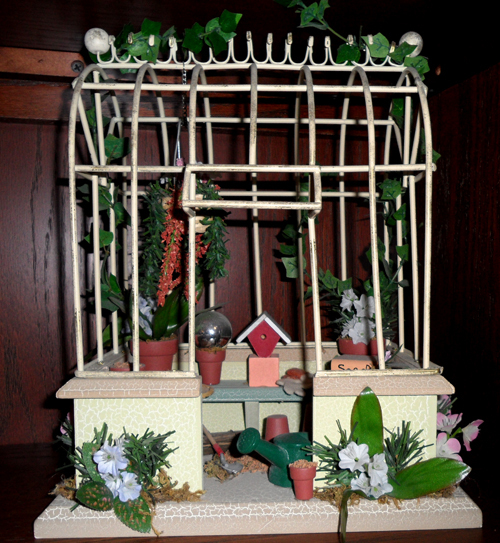 I made the hanging ferns and quilled plants. 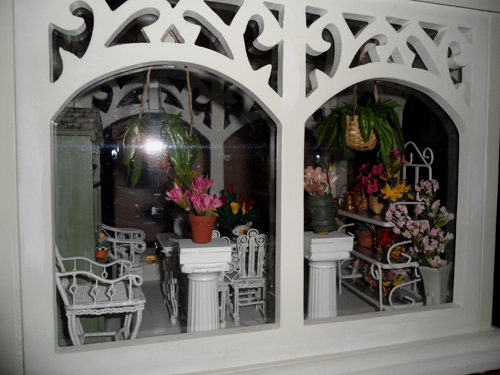 The miniature wrought iron furniture is half scale. 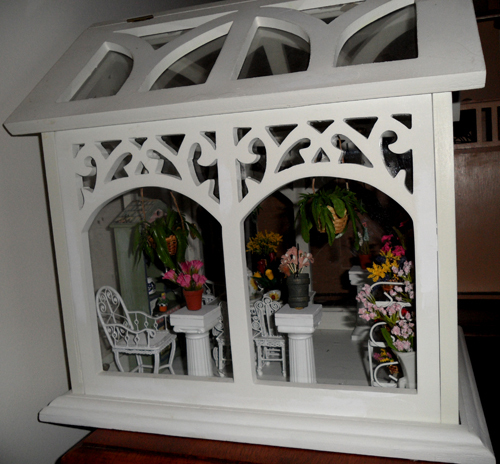 I bought it because it so reminded me of my late mother-in-law, who loved this kind of furniture in real size. My husband found this at Big Lots. It opens at the top. 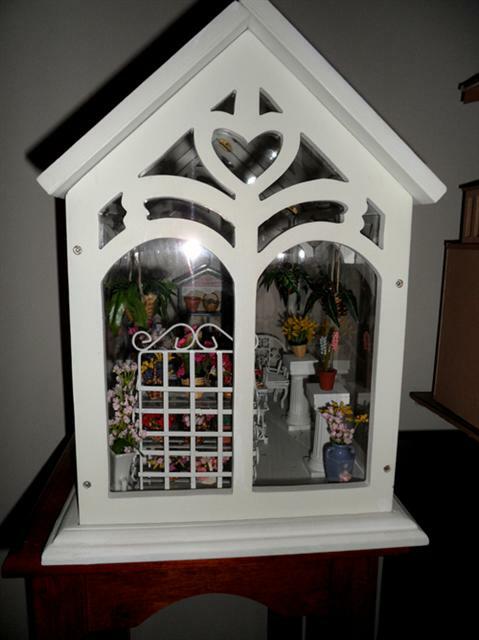 I use it to display my flowers and my little bud vases. It contains white wire wicker furniture. 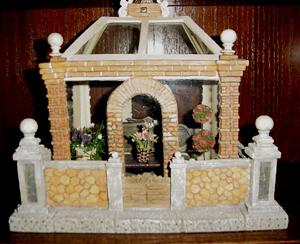 The columns are Wilton Cake decorations.